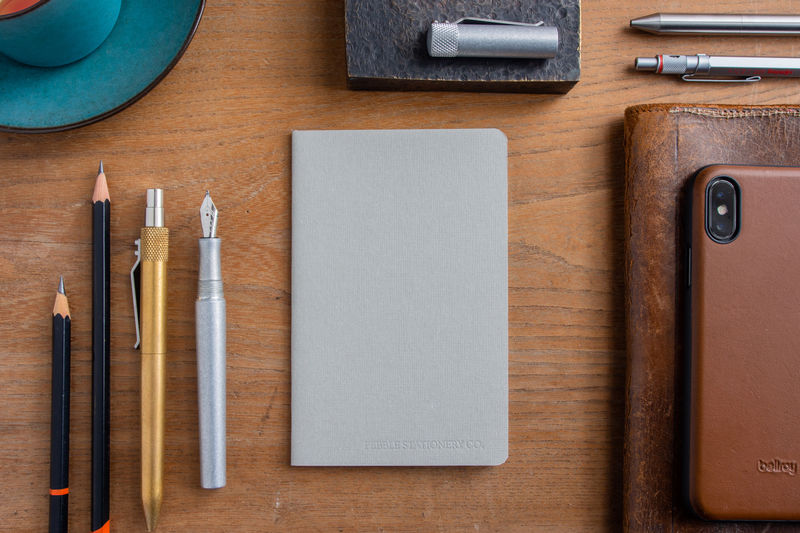 My last post was about the Sheaffer Student Cartridge pen. I mentioned that I used that pen all through high school and college. When I graduated from college in 1965 I received a graduation present of a Parker 45 Signet pen and pencil set. In those days I rarely carried more than one fountain pen. I retired the Student pen when I started using the Parker 45. The picture above shows the pen and pencil set. For a change I can precisely date the set since I received it in June 1965. Like the Student Cartridge pen, the Parker 45 took ink cartridges. 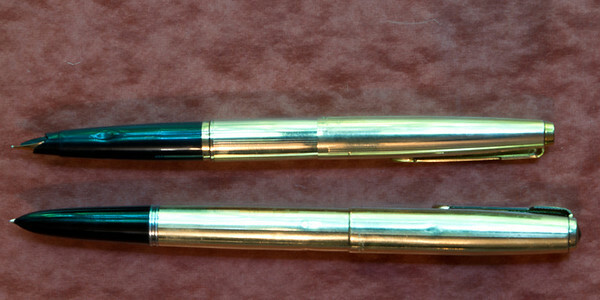 Unlike the Student pen, the Parker 45 also used an aerometric converter that looked much like the filler built into the Parker 51. One distinctive feature of the Parker 45 was that it used screw-in, interchangeable nibs. If you had a fine nib in your Parker 45 and wanted to use a broad nib to sign a document, you simply unscrewed the nib and screwed in a broad nib. After signing the document you could replace the broad nib with the original fine one. I’ve written a brief history of the Parker pen models in conjunction with my post on the Parker Big Red Duofold. That history can be found here and also at the Parker Models tab at the top of the blog window. Left out of the history are the second tier models such as the Parker 45. I’ll remedy that below. The Parker 45 was first manufactured and sold in 1960. 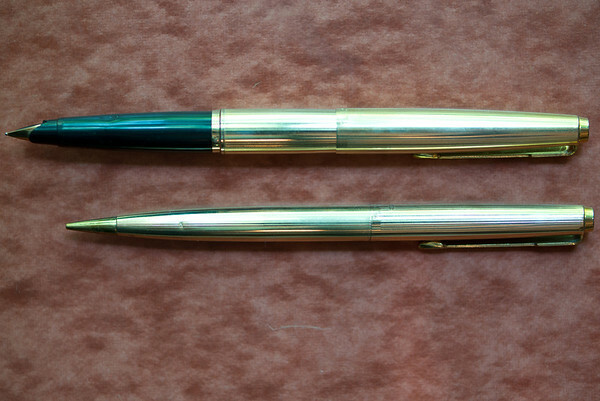 According to the excellent article on parkerpens.net, the Parker 45 was made until 2007. 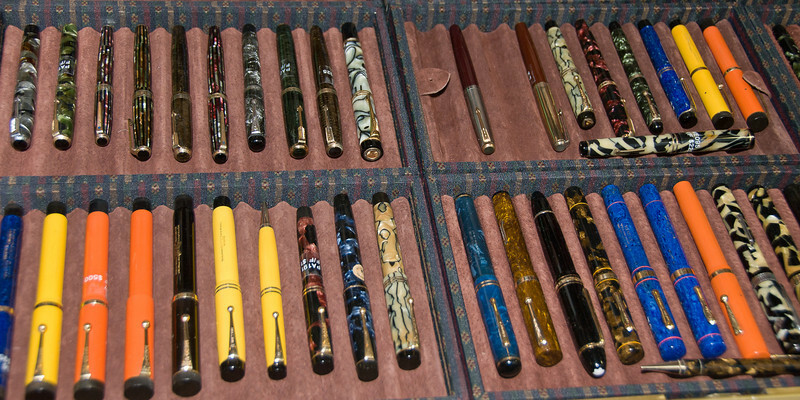 That article has some wonderful pictures of the very wide range of Parker 45 styles, including a set of very rare models. 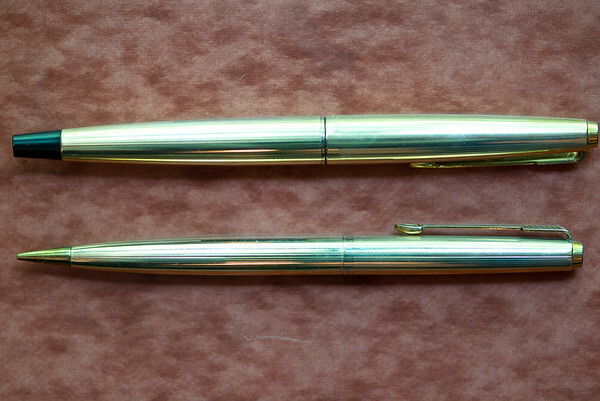 The Parker 51 was the top-of-the-line model for most of its existence. During those decades, Parker introduced many less expensive models that were similar to the 51 but could be manufactured and sold for less to accommodate customers who couldn’t afford their most prestigious model. Parker created the Parker 21 and also the Parker 41 to fill this void, but they were not popular. Perhaps they looked too much like cheap knock-offs of the Parker 51 plastic barrel models. With the Parker 45, Parker added some luxury and innovative features that made that model desirable in its own right, rather than being just a cheaper version of the 51. While the 51 sported a hooded nib, the 45 had a semi-hooded nib. That is, you could see more of the 45 nib than the 51 nib. See the picture below. The screw-in, interchangeable nib feature was very unusual among Parker pens. Another interesting feature was the unique finger grip that is perhaps the distant ancestor of the grip on the Lamy Safari. One more unusual features of the Parker 45, at least at that time, was the use of either a cartridge or removable aerometric convertor. Nowadays a converter (aerometric or piston) is a very common filling system on new pens , but when Parker introduced it few pens had a cartridge-converter system. In previous posts, I’ve used a modern Parker Duofold Centennial for comparison. This time I’ve added the Parker 51 Signet, which is the “big brother” to the 45 Signet. You can see that the 51 is a little longer when posted and a bit wider than the 45. The posted length of both the 45 and the 51 are less than the Duofold Centennial because the Centennial posts right near the end of the barrel while the other two post a good way down the barrel. The indentation on the 45’s section is a finger grip. The weight and size of the pen are given in the table below. With the barrel unscrewed you can see that the Parker 45 has an aerometric filler similar to the Parker 51. The main difference is that the 45’s filler is a converter and pulls out allowing you to replace it with a cartridge. The 51’s filler is fixed in place. 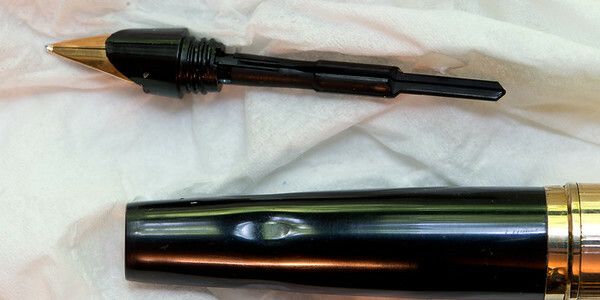 The clip is the standard Parker arrow that had been used since it’s introduction on the Vacumatic in the early 1930s. The picture shows the nib-feed unit and the barrel. To change nibs, you simply unscrew the nib unit and screw in a new one. It is still possible to find Parker 45 nib-feed units at pen shows and on eBay. The Signet model came with a 14k gold nib, although it was not marked as such. There was also a less expensive Octanium nib unit which was generally used on plastic models [Update: My thanks to Geoffrey Parker—great-grandson of the founder of Parker Pens, George S. Parker— for informing me that originally all Parker 45 pens came with 14k nibs. The Octanium nibs were added some time after the introduction of the 45] . Because the nib units are interchangeable, You can occasionally find a 14k unit on a low-end plastic Parker 45. The Parker 45 was one notch below the Parker 51 on the luxury scale. 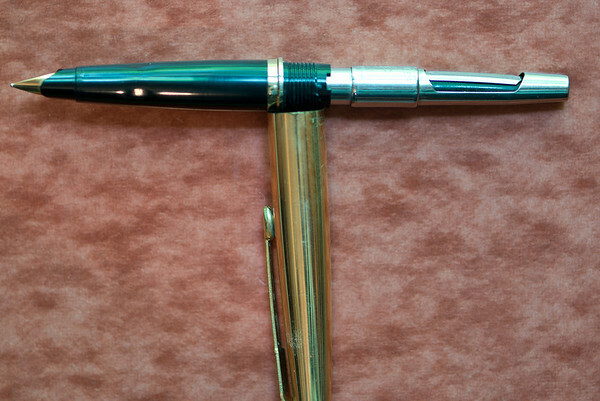 The Signet model was the top of the line Parker 45. I don’t believe that a solid gold model was ever made. Even though the Parker 51 was priced higher than the 45, the many innovative features of the 45 made it a popular choice, even in the luxury market.